A one-time price of £13.00 will be added to your order. Fresh Mature Scotch Topside Joint: The topside is a large, lean cut of beef, rolled and divided into two or three boneless joints. The silverside is very similar to topside, but requires slower cooking. Used to make salt beef or corned beef. It is a fairly tender cut of meat, but has little fat and is best cooked slowly. Cooking a beef topside in a slow cooker allows the meat to break down, making the meat fork tender. This also makes for a flavourful broth than can be turned into a tasty pan sauce or gravy. The topside roast is the inner thigh muscle, taken from the lean hind leg. 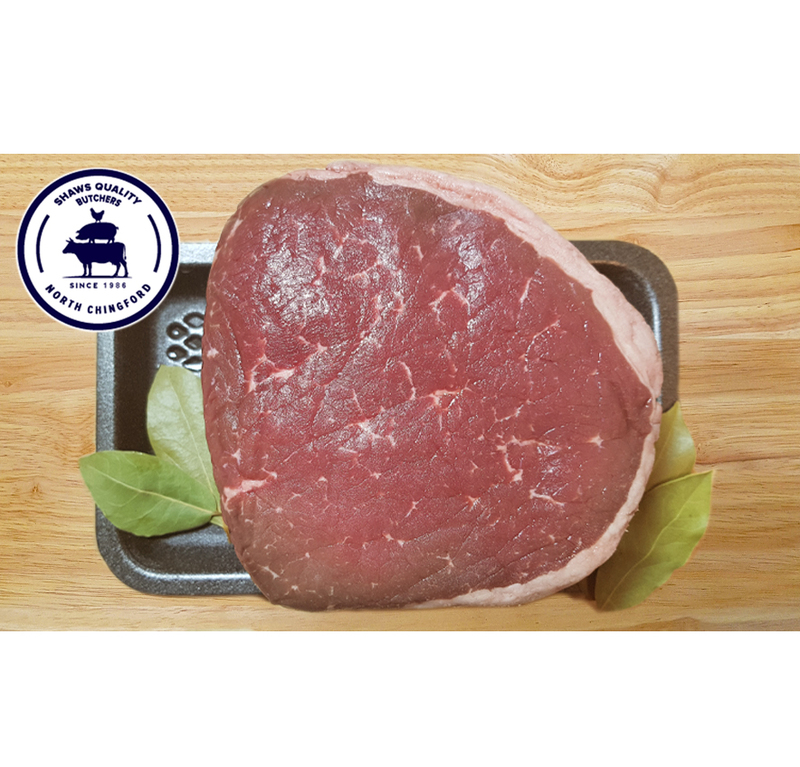 Topside roast can also be diced and cooked low and slow in a casserole or braise. Try Roast topside of beef with roast potatoes, Yorkshire Puddings and gravy. Serve with horseradish. The nicest Sunday dinner!